Tolleck Winner's sculpture can be found on the same spot where Lee Grandjean's 'Second Entrance' once stood - both pieces in some way representing two figures. The work was inspired by the reflection in a river of two people walking together. 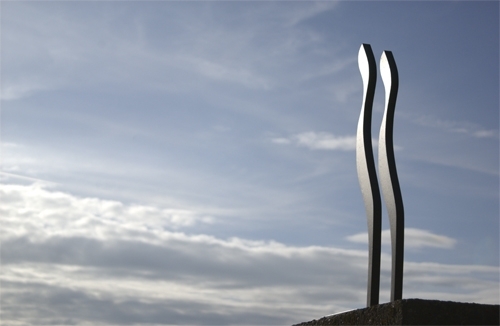 Created from carbon steel, 'People' is designed to change as the elements effect it, oxidising and changing colour.